When FAU accepted a private prison company's $6 million "goodwill" in stadium naming rights, students would have none of it. Now, the deal is dead. In a victory for social justice, human decency and those who stand against the private prison industry and its nihilistic agenda of mass incarceration, GEO Group will no longer hold naming rights of the football stadium at Florida Atlantic University. GEO Group is a multi-billion dollar private prison corporation whose facilities inspired a Mississippi judge to describe them as "an inhuman cesspool." They are currently aiming to expand their Florida operations dramatically when immigration reform passes, and there will be a legal necessity to detain the state's three million undocumented workers. In the private prison industry, immigration reform is being discussed like Christmas, the Fourth or July and the Super Bowl rolled up into one. GEO Group's efforts to spend six million dollars to rename the the home of the FAU Owls was an effort to normalize their name: GEO Group, just another corporation you can trust, the Xerox of private prisons. 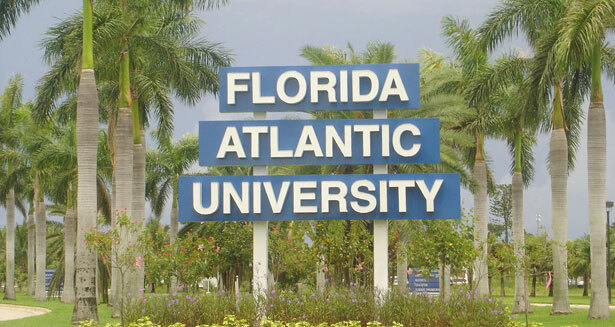 FAU is putting the families of their Hispanic students at risk of being detained in facilities that bear the same name as the stadium of their Alma Mater. All of a sudden, the good PR wasn't so good. In announcing the withdrawal of his six million dollars, GEO Group CEO George Zoley said, "What was originally intended as a gesture of GEO’s goodwill to financially assist the University’s athletic scholarship program has surprisingly evolved into an ongoing distraction to both of our organizations." The irony of this statement should be studied in a lab. By not being "distracted" by GEO Group's filthy lucre and the prospect of some spiffy stadium upgrades, the FAU students of Stop Owlcatraz have done their school proud and all people who organize against the prison pipeline, a tremendous service. As for these students who petitioned, marched, organized and occupied to make this stand, they put out a statement on Twitter saying simply, "It's over! We stopped Owlcatraz!" They also did more than draw a line in the sand against our cynical and deeply racist system of mass incarceration. Sports should be a way to help young people avoid the pitfalls of the prison pipeline, not an advertisement for its expansion. Thanks to the students at FAU, the penitentiary powers-that-be will think twice before skulking toward our playing fields in the future. For footage of the students' occupation, and more firsthand accounts of student struggle nationwide, check out TheNation.com's Dispatches From the US Student Movement.